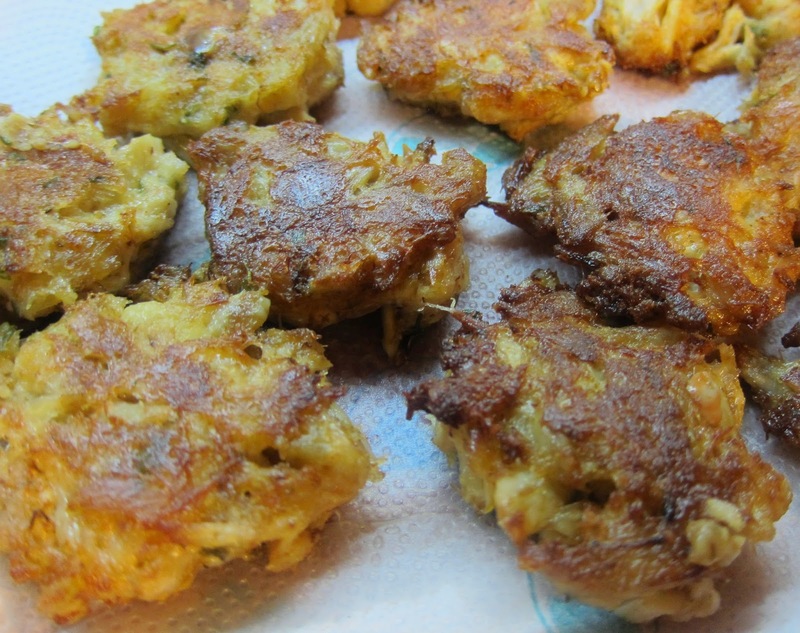 My Granny grew up on the eastern shore of Maryland and made the best crab cakes ever. She gave me the recipe, but it did not taste the same, so I volunteered to help here make them, so I could figure out exactly how to get them right. First I'd say to get good crab meat - easier in season. I get either local blue crab from our coast or Phillips in the can. They had a black can with red label, but Harris Teeter scaled down to 1/2 lb sizes which are plastic. In any case, they are a local east coast product. Some of these special or discount crab at lower prices have a strange smell and flavor. Don't save a buck in this case. Get 2 slices of bread and take off the crusts. Then tear the two crustless pieces of bread into small pieces like the size of your pinkie or ring finger. Add milk for moisture. It depends on the bread, but I use around 1 tablespoon for the two broken up slices in a medium bowl. Lightly toss the bread and milk. Get a small bowl and beat up an egg. It does not need to be beaten to death - just mixed up even. Add the beaten egg, 2 tablespoons of mayonnaise, 2 teaspoons of mustard (we use spicy but yellow hot dog mustard is fine), 2 teaspoons of Old Bay seasoning, and 1 teaspoon of baking powder. For some reason the baking powder makes a big difference. Toss the above mixture. Do not stir. Just lift and turn until fairly even. Add 1 pound of crab - any type of Phillips or local canned. Again toss but do not stir. Remember this is a fragile mixture. You do no want to pulverize the crab chunks. Sprinkle around a teaspoon of hot sauce like Texas Pete or Chalula and toss again. If you like the crab cakes spicier, add another teaspoon of Old Bay but go easy on it. Refrigerate the crab cake mixture for 20 minutes of so. It holds together much better than at room temperature. The tricky part is the balls or cakes. I make mine about the size of a checker or little larger. I get a hand full and lightly press out extra moisture and place each one in oil at around 325 degrees F. They should sizzle. If they splatter, turn the heat down a tad. Don't play with the crab cakes, or they will fall apart. You need the bottom to set up and be browned before you turn. You can take a knife and gently lift an edge to double check. Once set they turn great and then it's just a couple of minutes until the under side is then browned and ready too. I put paper towels on a plate to drain the crab cakes. I have a larger electric skillet that will hold one pound, but I've used a 12 inch cast iron pan and done them in two batches. Either way is fine. On the oil, go about 1/4 inch up to 1/2 inch and 325 F (up to 350 F). This is not deep fry (though you can do that). Mine are a pan fry and flipped and then drained. The time I would estimate at maybe 6 to 8 minutes on the first side and then around 2 to 3 minutes on the flipped side. It does depend on the pan and heat though. We serve our crab cakes straight up on the plate with Texas Pete cocktail sauce which is the best ever. I've tried a ton over the years and don't even bother now. Texas Pete nailed cocktail sauce. 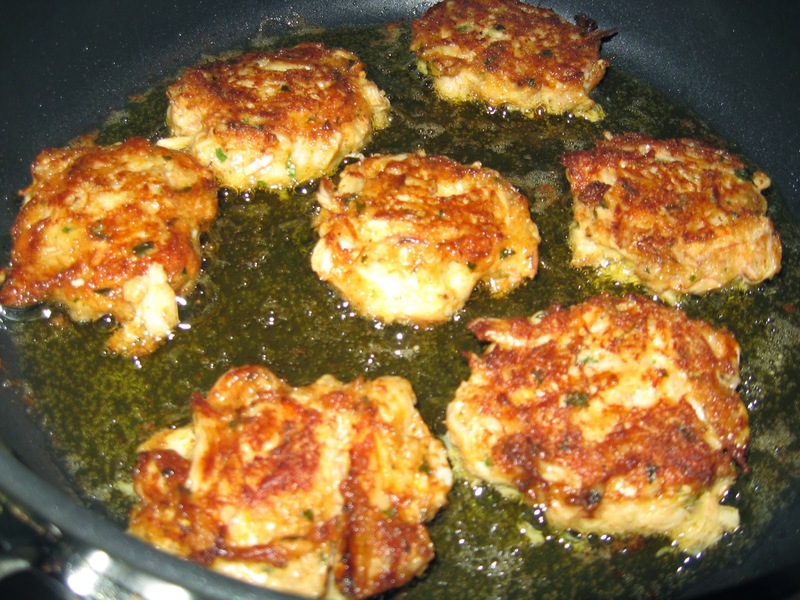 You can also make the crab cakes larger and serve them on a bun like a hamburger if you like. Then you dress them with tomatoes, lettuce etc. Crab cakes really are easy to make. You just have to handle them with care and don't get over anxious in turning them. 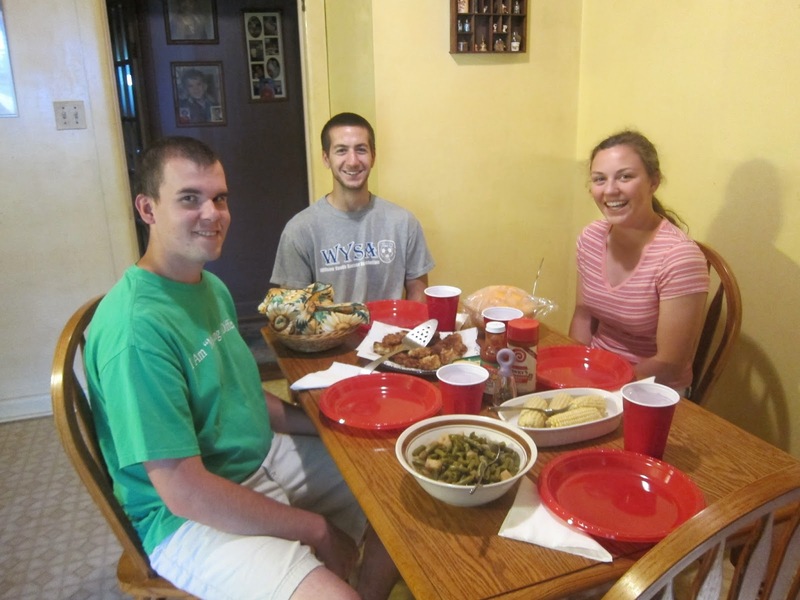 This is one of our all time favorite meals here.